If you are familiar with GABO‘s “One Hundred Years of Solitude” (1967), you would remember that one of the characters, Fernanda del Carpio, used to consult the invisible Doctors. It’s hard to know for sure whom they were, but what it is clear is that she certainly felt helped and healed by their medical doings. She could not see or touch them; maybe they were spirits, shadows or just a product of her imagination ( after all the genre is called Magic Realism! ). 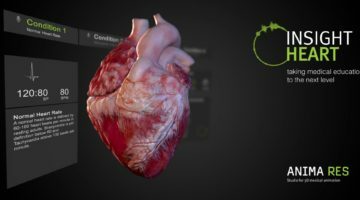 As a Healthcare Futurist, a full-time surgeon and faculty of Singularity University’s Exponential Medicine program (but probably most importantly, as a geek), I’m fairly familiar with the latest developments in the unstoppable coalescence of technology and medicine. 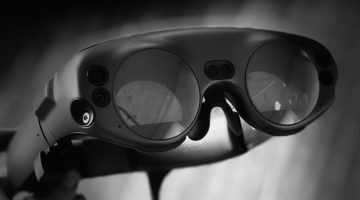 The advent of better, faster, smaller and less expensive devices, along with agnostic, intuitive and seamless connectivity, the “cloud-ification of things”, will certainly do the trick. We are talking fitness trackers, wearables, “embeddables“, “ingestables“, “hearables“, “smart patches“, ” smart clothing“, etc. In addition to these, we are seeing platforms like Carbon Health, ( from the founder of Udemy) which are making the whole experience happen flawlessly and almost effortlessly. They make smart use of available technology to connect and communicate better, the way it should be in this day and age. Smartphone calls, text, video, pics, smart electronic medical records and reminders are indeed a great substitute to traditional and boring phone calls, voice mails, printed letters and forms, reverberating and redundant questioning, paper signatures, emails, “dumb” EMRs, letters or faxes. All of that is too Visible. 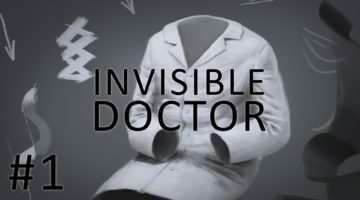 At the end, the continuous measuring, compilation, and analysis of health (or disease) data, coupled with instantaneous and “stealth-mode” connectivity and communication with medical providers, will produce an “invisibility cloak effect“, which will make every player happier and less frustrated with the interaction, along with, at last, providing a much better outcome for our patients. ‘Going to the Doctor” does not need to be a unpleasant and disappointing experience. Today, we have the tools to make this interaction a comfortable and rewarding event. We just have to be smart about it and make the journey together, patient and provider. I’ll see you there….but, perhaps, you won’t see me! Very interesting perspective and one that seems to be gaining momentum. However there is only so much patching and fixing that can be done even with the highly efficient futuristic technology. How much of this advancement is focussed on preventative medicine? Isn’t there a danger of complacency as people rely on super-fast and dare I say, impersonal solutions?